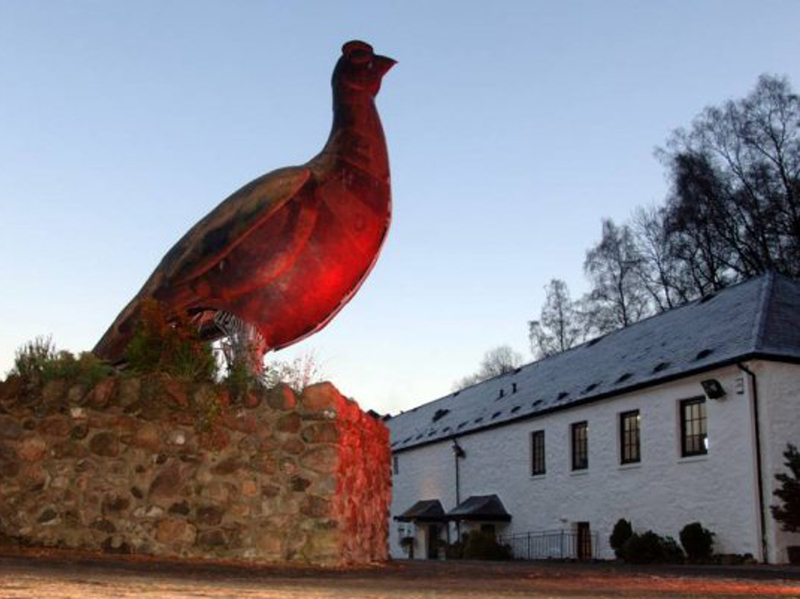 Attention Single Malt Whisky Lovers: This tour has been designed just for you. There are many reasons to travel to Scotland; great golf, friendly people, beautiful scenery and a fascinating history dating back thousands of years. 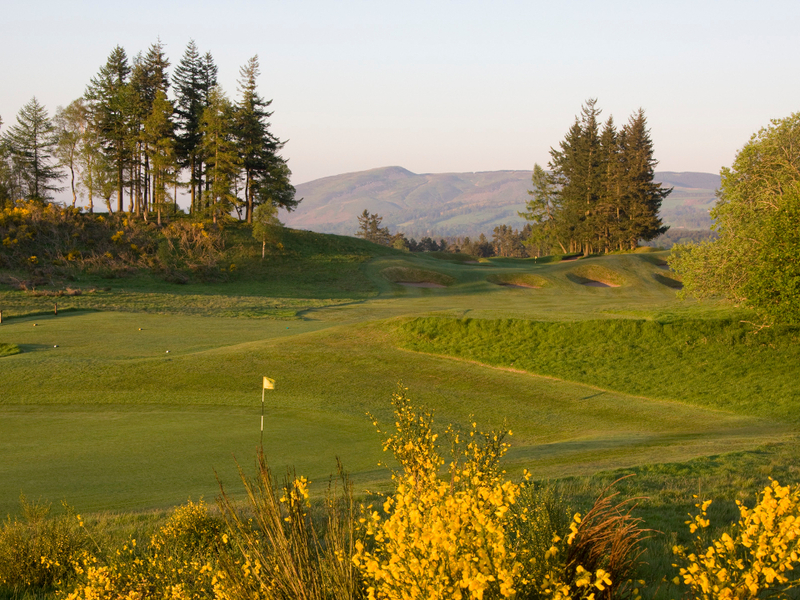 While all the following things can be found on any of our tour itineraries, there is one special thing that we know is of keen interest to many golfers and non-golfers – Single Malt Whisky! Scotland the home of golf is also the home to over a hundred distilleries, each with their own special characteristics and tastes. While golf is still a key aspect of this tour we feel that the 4 top distilleries we have included as part of your tour represent the finest and most diverse group of whiskys found in Scotland. Immaculately maintained with greens as good as presented by any Scottish layout, this combination of links and heathland boasts an idyllic setting. 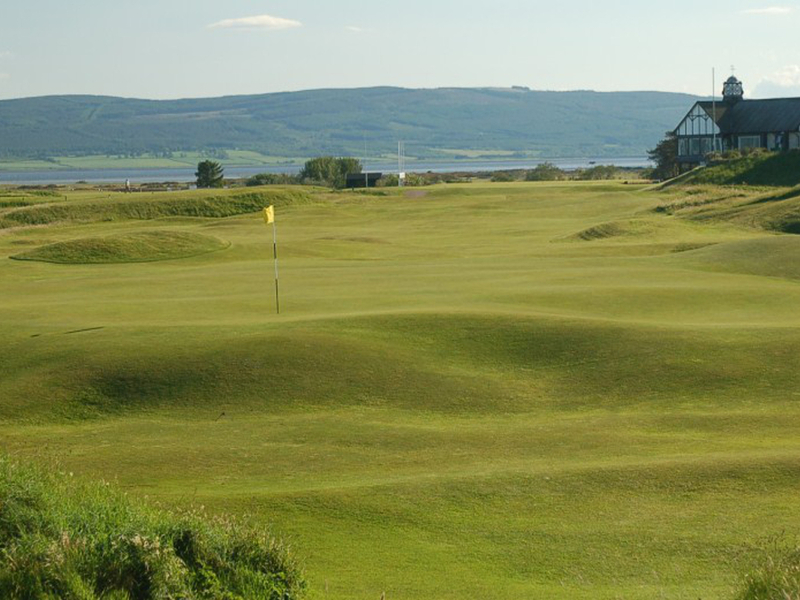 The course skirts the shoreline of the Dornoch Firth, with some dramatic views to a mountain backdrop, evoking a feeling of total solitude, even reverence — it’s another one for the memory book. 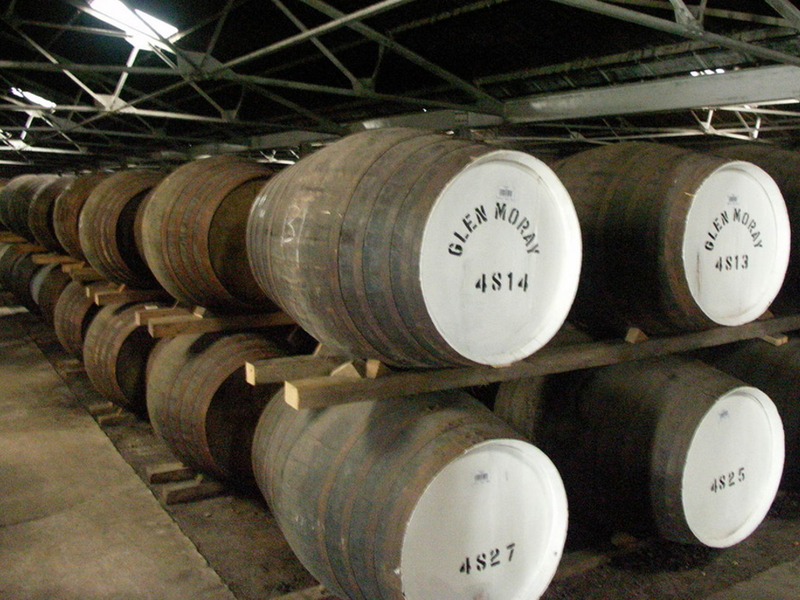 The most popular single malt sold in Scotland itself. The local production of spirits goes back until at least the early 1700s when a still was recorded at the nearby Morangie Farm. The existing Distillery, however, had its origins as a brewery; before being converted to a legal still in 1843. The pride and joy of Highland golf is and always has been, Royal Dornoch, where the game has been played since the early 17th century. Ranked among the top dozen courses in the world and one of the best links anywhere, it’s a layout that belongs on every golfers bucket list. Visit during the spring or early summer and Dornoch will be ablaze with brilliant yellow as the abundance of gorse and a predominant hazard here, shows off its one redeeming asset. Don’t be deceived by the good looks, it’s a hazard with a voracious appetite for errant shots and to be avoided at any costs. Moray Old Course is without doubt, one of Scotland’s finest traditional links, starting and ending in town and following a relatively straightforward, out and back path. 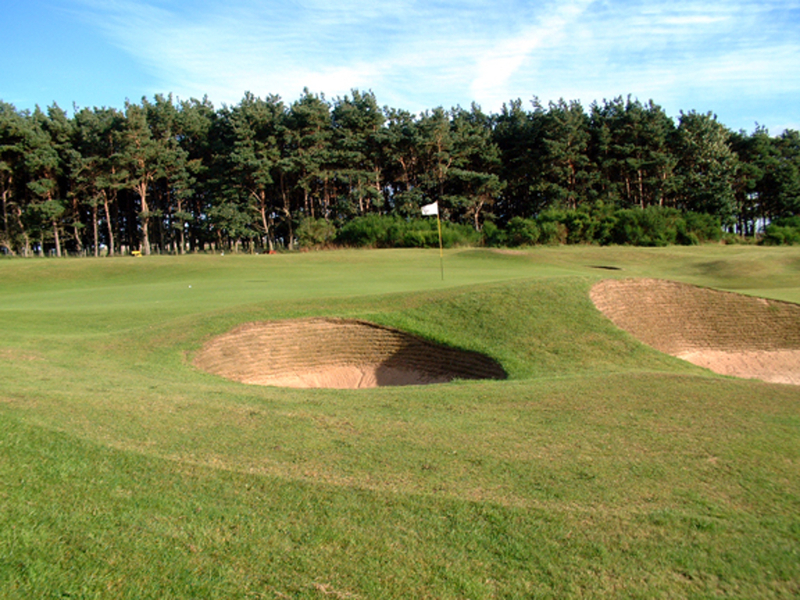 The generous, undulating fairways are lined with prickly gorse, the shrewdly placed bunkers are deep, revetted and fearsome, including a healthy helping of good old fashioned cross bunkers. The greens are as good as any in Scotland, often seeming to be quite flat, but always filled with subtle contours, slopes and rolls. Seldom can it be said that a course has no bad holes, but that is the case here. Old Moray is always fair and what you see, is what you get. Nestled on the banks of the River Lossie in the city of Elgin. 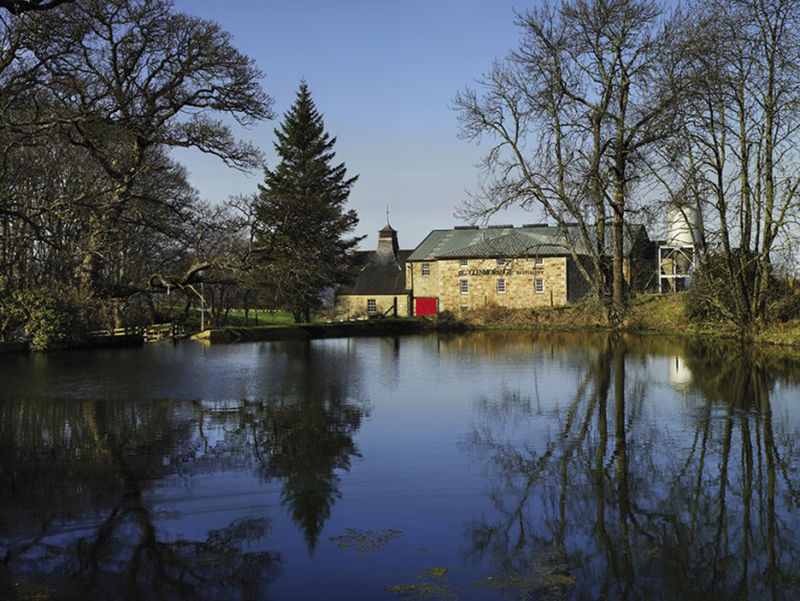 In over a century of distilling at Glen Moray, much has changed, however the ingredients, processes and skills of those responsible for producing Glen Moray remain constant. The whisky is matured in ex bourbon barrels sourced from North America and these produce a whisky with rich and spicy characteristics. Spend the next 2 nights in Aberdeen, Northeast Scotland. Enroute to Aberdeen visit Macallan Distillery. One of the great malt whiskies of Scotland, with a reputation for finesse, richness and complexity. The use of sherrywood casks for the aging process is one of the reasons Macallan Whisky has such a unique and pleasant flavor. The distillery was just an unknown local producer until about 30 years ago, when the rest of the world found out about one of Scotland’s best kept secrets! Founded in 1780, this is the 6th oldest golf club in existence, though the club moved to its current home in 1888. Ranked among Scotland’s top courses, Royal Aberdeen has one of the strongest front 9′s of any course on the planet and arguably, the toughest series of closing holes in all Britain. 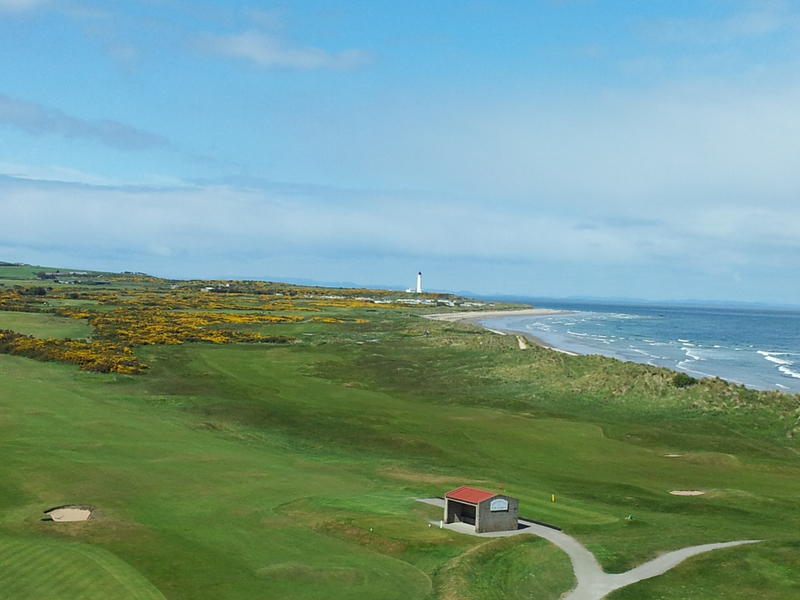 Royal Aberdeen is the epitome of all that is good with traditional links golf; it does so unabashedly and with the pride only a veteran could muster, proving its point from the very first tee box. 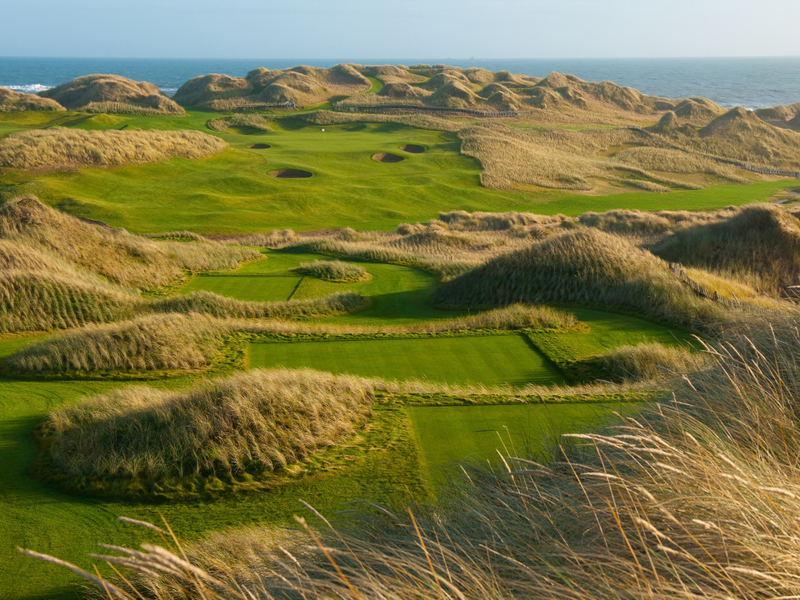 This is a course for the true connoisseurs of links golf. 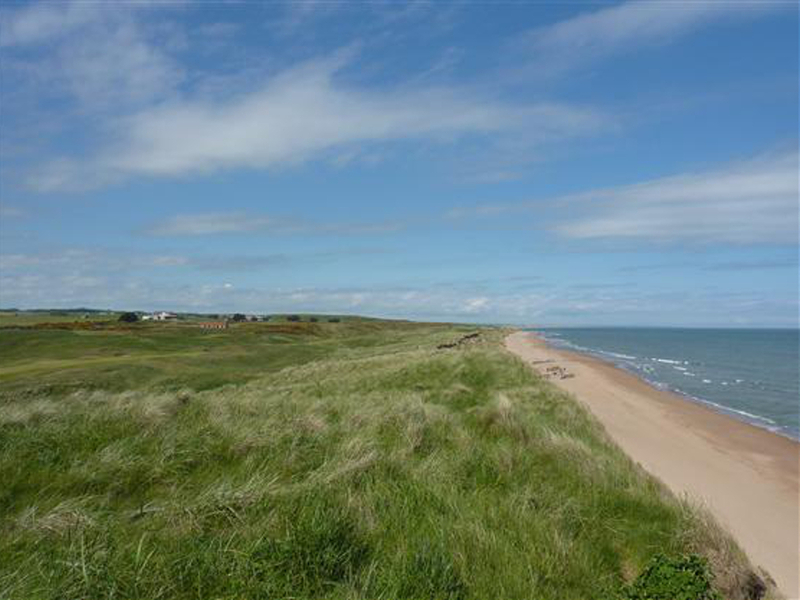 This stunning links design comes from the renowned Martin Hawtree, a leading links architect who has taken a traditional, out and back design amid spectacular dunes and incorporating practically every links test known. 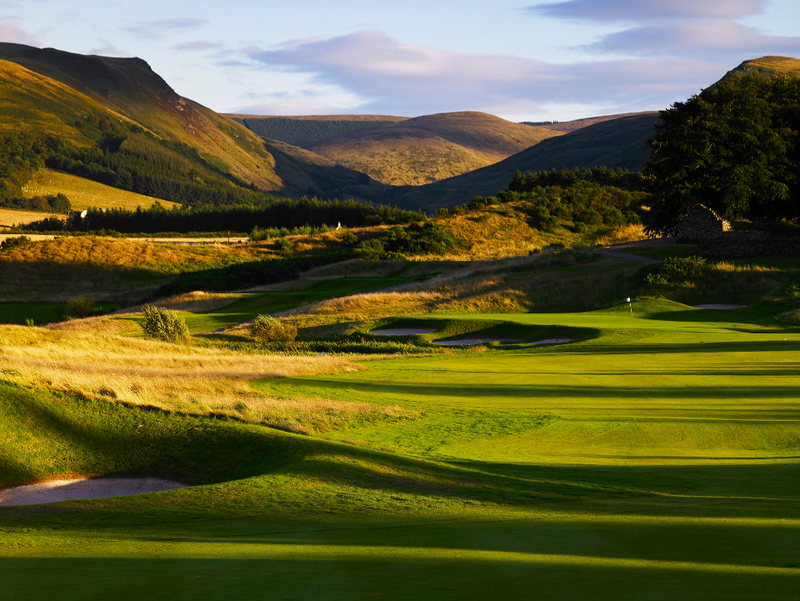 Spend your final 2 nights at the deluxe Gleneagles Resort. The Jack Nicklaus designed, PGA Centenary Course, adopts a distinctly American style, in total contrast to The Kings and Queens Courses. Built with the goal of attracting big-time, championship golf, that mission has been accomplished in grand style, after all, hosting the 2014 Ryder Cup is about as big-time as golf ever gets. Measuring almost 7,300 yards from the championship tees, this is Scotland’s longest inland course and undoubtedly, one of its toughest. There are some semi-blind holes and a very strong defense arsenal of pot-bunkers, fairway traps, streams, ponds and hungry rough that demands a strategic approach from start to finish. The King’s Course, opened in 1919, is a masterpiece of golf course design and appeals to professional and amateur alike. It may be part sentimentality, partly its beguiling good looks and special charm, but the over-riding reason is simply quality — the challenge presented by this grand old champion of a moorland layout is the very best. The design of the Kings Course is pure excellence; in fact James Braid considered this to be the crowning achievement of his impressive career. Always impeccably groomed, the Kings Course is 18-holes of near perfection, with more than its fair share of memorable tests. 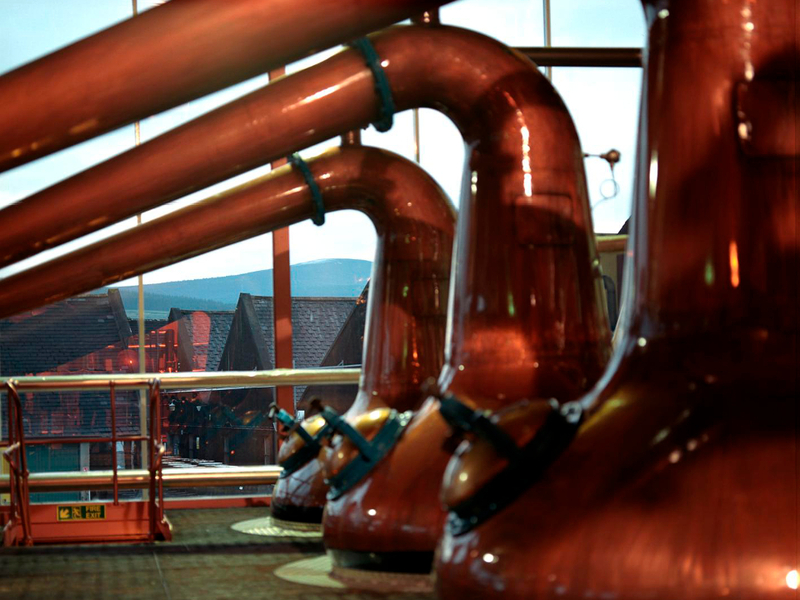 One of the oldest distilleries in Scotland, they are known for having many different variations, tastes and aromas. The ages vary from 12-21 years old with the most common variety being the 12 year old which has a full aroma, roasted nut flavor and a velvety oak finish. If you are lucky you’ll also be able to find some cask-strength bottlings and sherry cask bottlings which is a local favorite.